"I stayed 9 days at the Draft horse the place is GREAT! The staff was wonderful and very friendly made us feel right at home. Ben and Susan run a top notch inn. I will be staying there again! The beds were the best I have ever slept on in a hotel. Thanks fro Bama!!!!" "“Great place to stay - comfy and friendly” I enjoy staying at the Draft Horse Inn each time I have to come to Arcadia Wi. The staff is great and extremely accommodating. The rooms are comfy and have internet access covering all your needs when traveling on business. The location is great and easy to get in and out. Room rates extremely fair and overall experience wonderful!" "When I called to reserve a room, I was very impressed with the great customer service and friendliness. Looking forward to our stay!" "Clean and comfortable at a good rate." "Every time we visit Arcadia, we enjoy our stay at the Draft Horse Inn~Clean, comfortable and you can't beat the price!" "in the area, may try you out..."
"This is a great place to stay!" "Great place to stay with friendly service and great rates." "Our wedding party/guests stayed here and all were impressed at how nice the place was for a small town." "We have a lot contractors who utilize your hotel and all I hear are good things about your service and accommodations." "I've stayed here many times in the past and have always had a good experience. 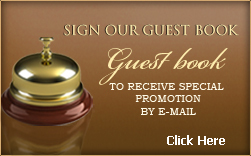 Friendly staff and clean rooms that are well kept. Never any issues or problems." "Hello! - Every time I visit Arcadia, I really enjoy the stay at the Draft Horse Inn - Warm People - Very Clean, Very comfortable and NO-WAY Can I EVER beat the price!'" "GREAT SERVICE. BOOKED A ROOM AND WAS ATTENDED WELL." "My sister lives south of Eau Claire and recommended this hotel as being clean, convenient, comfortable, and well kept. And it has a great name!" "The Draft Horse is a friendly, comfortable home away from home. Kay makes sure every guest has what they need. My favorite place to stay." "Nice and clean visit some friends while they were staying there"
"Myself and a friend stayed there several times on a few hunting trips. The owners are very friendly, great breakfast, super clean rooms, great beds, what more could you ask for, a fantastic place to stay." "I have been staying there on hunting trips for the past six years. The staff is very friendly and accommodating. Highly recommend for someone who wants a clean room at a great price." "May have to stay here in a few weeks..."
"I am recommending this hotel for sure to my parents so they do not have to worry a driving home in the snow storm that is on the way!!" "This hotel is amazing it's like heaven :)"
"Nice hotel and affordable rates." "My sister and I stayed here for my aunt's wedding. It was very comfy and cozy. Nice area, grocery store in walking distance. Very clean"
"Very nice place with fantastic staff." "We are taking my elderly parents on a road trip to look at leaves and are excited to stay at this hotel!" "Very nice place!! With were there with are motorcycles and trailers,The owners were very helpful with things to do around Arcadia. The breakfast was good. We are planning on going back again next year. Thank you!" "Nice and clean place to stay! Enjoy our time here while hunting!" "My husband and I along with a small group have stayed here a few times for motorcycle rides in the area. The staff are kind and the rooms are well maintained. Looking forward to saying here again this May and possibly September Fall Ride as well."